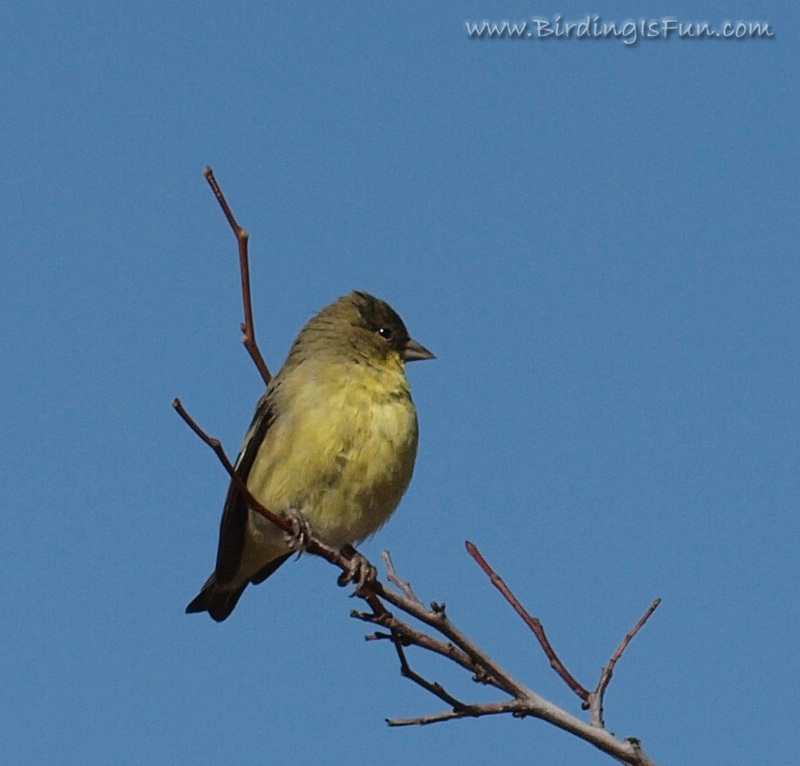 Lesser Goldfinch - regulars at my feeders! * Pat Bumstead worked hard to get this juvenile accipter identification nailed down! * Don't miss any of Mia McPherson's posts or Scott Simmons' posts or Laurence Butler's posts or Chris Petrak's posts or Jim Braswell's posts from this last week! * I really enjoyed the variety of birds at Dan Huber's feeder! * I'm with Kelly Riccetti, Bobolinks are awesome! * Greg Gillson has an uncommonly nice image of a common bird at bath time! * Perpetuating the mystery about the source of babies and Christmas presents, Lillian Stokes has a Santa Stork! * Ken Schneider sure saw some sweet birds in the Texas panhandle. * John Robinson has tips on learning to the greatest skills in birding. * Sharon Stiteler has a serious and seriously funny post at 10000 Birds about "When Feeding Birds Runs Amuck"
* I really liked this post from Ron Dudley about Catch Lights in Bird Photography. * John Vanderpoel's Big Year has been exciting to follow! * Rich Ditch from AZ is another one of my favorite bird photographers. Even invasive plants have their pretty moments. Phragmites seen "while I was birding"
Great work Robert, thanks for bringing it all together.